When it comes to making news, themes such as a major discovery, a lingering mystery or a controversy are sure to grab headlines. 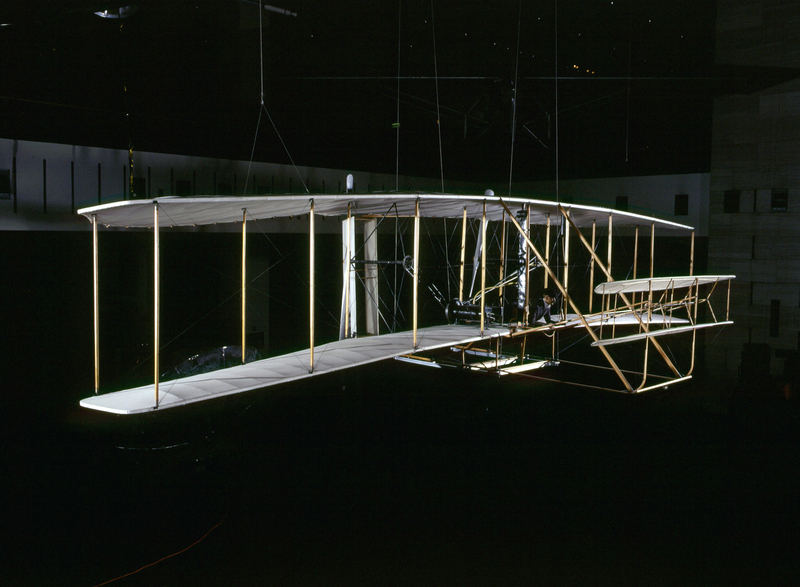 The claim that Gustave Whitehead, not Orville and Wilbur Wright, made the first powered flight in an airplane has all of these elements and more. And when a new website, “Gustave Whitehead—Aviation Pioneer,” was launched in early 2013, it sparked media coverage and public attention. 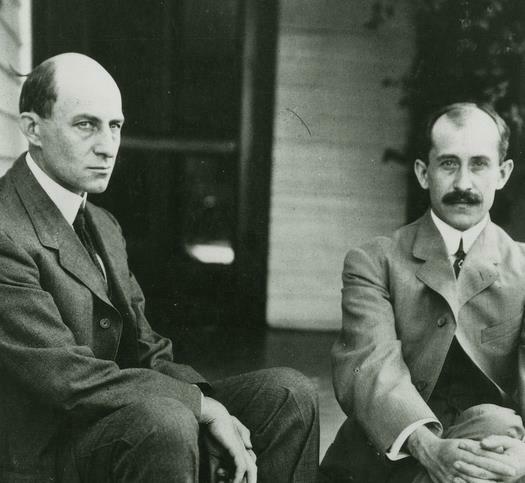 The upcoming anniversary of the Wright brothers’ achievement at Kitty Hawk Dec. 17 is a good time to look at what the Wright brothers accomplished and explore the facts of the Whitehead story. Did Gustave Whitehead, a German immigrant who settled in Bridgeport, Conn., fly half a mile Aug. 14, 1901, and again Jan. 17, 1902, including a seven-mile flight over Long Island Sound? Whitehead never flew again. Although Whitehead continued to build flying machines under contract for other experimenters as late as 1908, not one of them ever left the ground. Had the man who claimed to have flown seven miles in 1902 forgotten the secret of flight just six years later? Moreover, none of those later craft bear much resemblance to his supposedly successful machines of 1901–1902. Why did he abandon those craft and turn to very different configurations? Contemporaneous report of failure. Just three months after Whitehead claimed to have made those long flights over Long Island Sound, a local paper carried an article titled, “The Last Flop of the Whitehead Flying Machine,” reporting that both of Whitehead’s aircraft had been failures. Contradictory testimony. Individuals who stated they witnessed Whitehead fly were not interviewed until decades later. There is the question of contradictory witness testimony taken—35 years and more after the supposed flights. The supporters swear by them; the skeptics are skeptical. Lack of photographs. 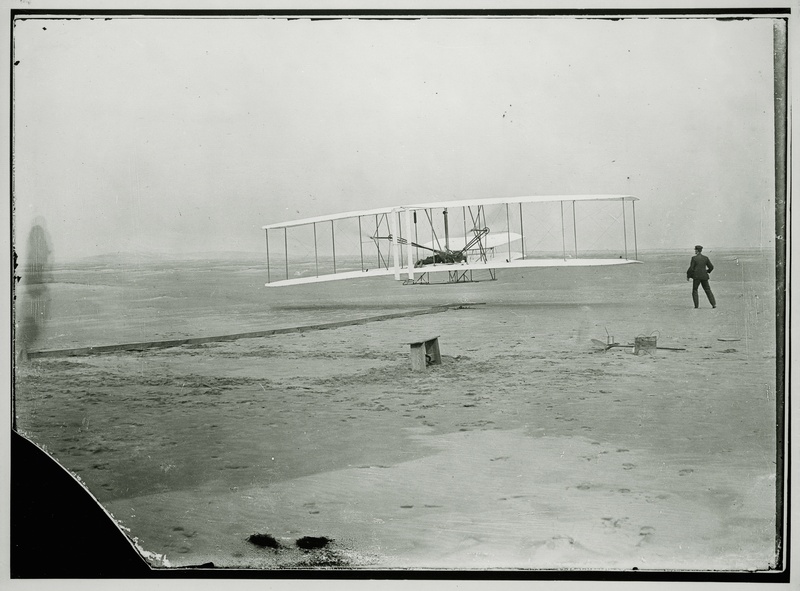 Unlike the Wright brothers, who meticulously documented and photographed their flights, Whitehead later stated photographs of his flights “did not come out right.” The photograph analyzed on the “Gustave Whitehead—Aviation Pioneer” website has been identified as a photograph of a John J. Montgomery Glider, taken May 21, 1905, in San Jose, Calif. 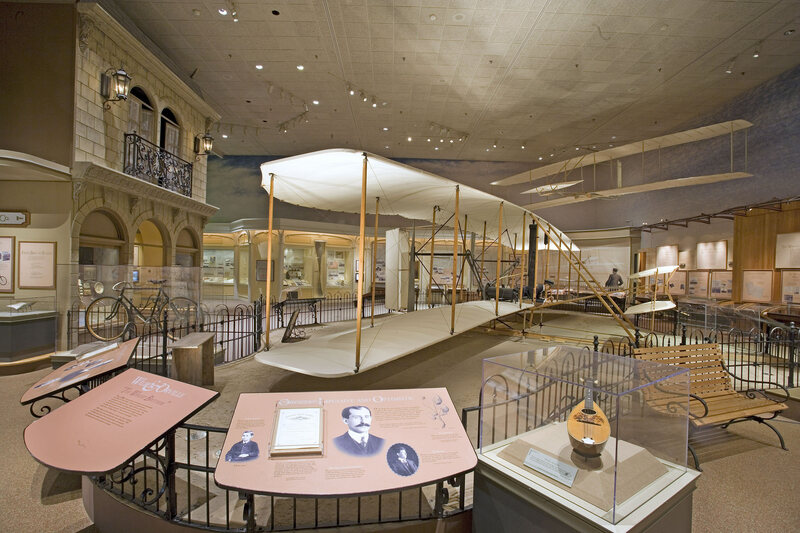 The 1903 Wright Flyer hangs in the Milestones of Flight Gallery at the Smithsonian's National Air and Space Museum in Washington, D.C. 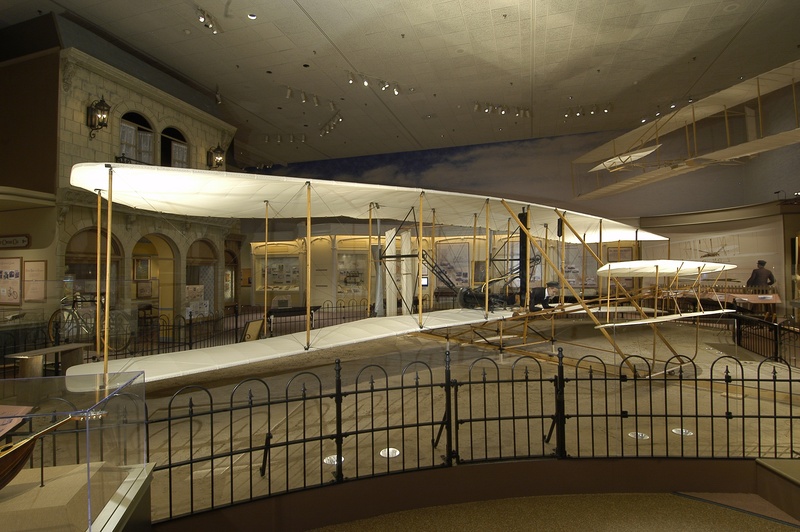 The original 1903 Wright Flyer is the centerpiece of "The Wright Brothers & The Invention of the Aerial Age" exhibition at the Smithsonian's National Air and Space Museum's flagship building on the National Mall in Washington, D.C.
With Orville Wright at the controls and Wilbur Wright mid-stride, right, the 1903 Wright Flyer makes its first flight at Kitty Hawk, N.C., Dec. 17, 1903. 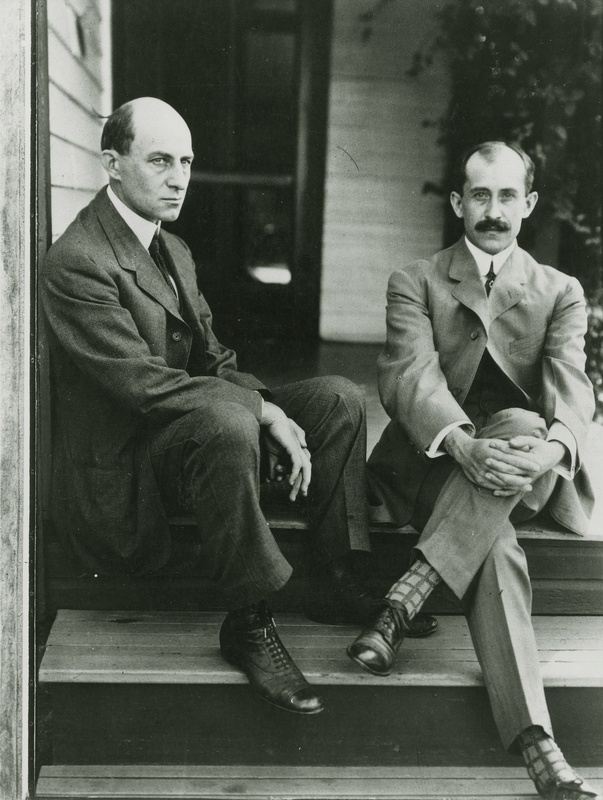 Wilbur, left, and Orville Wright sit on the porch steps of their Dayton, Ohio, home in June 1909.